One of the most important things which makes a business successful is customer satisfaction. A happy customer, be it an end user or a middle man who further caters to other customers, is the backbone of a successful business. Whatever be the business you are into, delivery goods on time makes your customer happy and delighted which would make them want to do business with you again and again, thus making your business prosper. What should you do to ensure that things are delivered on time? Have a good fleet of commercial vehicles that are sturdy, fuel efficient, reliable and are equipped with state of the art technologies, while not demanding a huge investment. 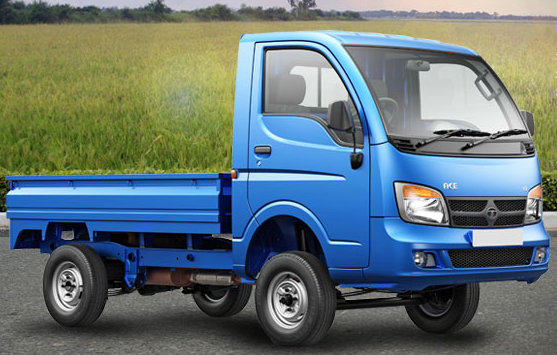 There are several manufactures of commercial vehicles in India. Some of them are Hindustan Motors, Mahindra & Mahindra, Premier, Tata Motors Commercial Vehicles, Ashok Leyland and Bajaj Auto. Each of these manufactures further have a diverse product line catering to various business requirements. You have a wide range of options to choose from, depending on your needs. If you often find yourself transporting small cargos, then a three wheeler like Mahindra Alfa or the Ace (Chhota Haathi) from Tata Motors would be an ideal choice for you. These mini trucks are equipped with the latest technology that would never let you and your business down. They also demand low maintenance which would allow you to concentrate on other areas to improve your business. They are small, easier to handle and also driver friendly which would increase the productivity and happiness of your workers, making them do their work with passion which will help your business in the long run. 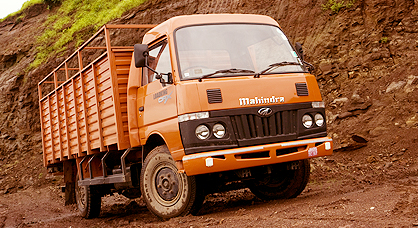 If your transportation needs cannot be met by these small sized trucks, then you can go for larger vehicles like the Mahindra Loadking. It delivers outstanding performance while being highly fuel efficient. It has several truck models which cater to different requirements like transporting high volume perishables, sand and boulders. With such a range of options to choose from, one might get confused as to which vehicles they should go for. The internet surely has abundant information, but it does not always help as the information is generic and not specific to your requirements. Further, the information is not always reliable and you might end up making a wrong choice. At this point of time, a dealer would be of utmost help to you who can help you understand the differences between the vehicles and also assist you in choosing the perfect one. If you require commercial vehicles in Mumbai, then you can take a look at this site which lists several dealers. Some of the featured dealers there are S A Motors, Sai Sanidhya automobile and Janta rubber and plastics engg. Whether you require heavy trucks in Mumbai or mid-sized vans, these dealers always have something to offer. They understand your requirements and help you find the best, economically viable commercial vehicles which would help your business further prosper. We hope that this information was helpful to you and would help you in increasing your business profits.